If you are planning or need help planning any kind of event from a small garden party for your friends and family, a wedding reception or post wedding event, fund raiser, musical event or anniversary at any time of year , You have come to the right place. We offer Garden Parties for 30 people or more, catering for groups of 25 or smaller and larger events from 3I0 to 150. Larger numbers considered. We work alongside some fantastic suppliers in the Algarve so please ask for referrals if you want. 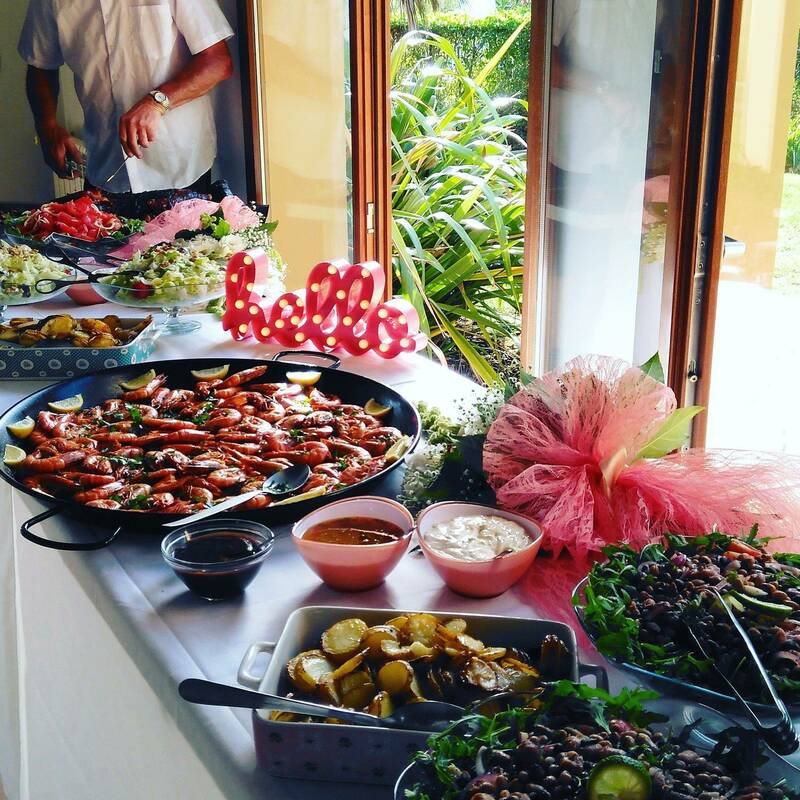 We aim to make your party fun, informal and delicious. Let us take care of the hard stuff whilst you kick back and relax. Whether it be a whole hog , suckling pig, lamb, pulled pork, leg of pork and crackling, chicken or a combination, our way of roasting on site for you is a fun and informal way of serving your guests, with first class service and a budget price. We also provide a freshly made, delicious and comprehensive buffet complete with plates and cutlery. Your roast is cooked in front of your guests and then served hot direct from roasting machine to plate. Your buffet is chosen by you from our menu options, prepared fresh on site to accompany your roast and manned by our staff. When you and your guests have finished eating we then clear it away and clean the kitchen after ourselves. Unlike some other catering companies, we prepare all our food fresh on site so you can be guaranteed freshness even in the heat of summer. We can take care of all the event planning for you if you are not able to be in Portugal enough or have difficulty or We can put you in touch with venues, musicians,d.J'S, sound and lightening technicians, photographers, table and chair hire,marquee and tent hire, erected stabilized and lined, even fire jugglers and bouncy castles. Whatever you need to make your event go with a swing.Have a chat with us about your requirements and see what we can do. This website was created by Liza walker in 2008 all photos displayed ( apart from Links) are the owner of website liza walker . copyright 2008.